Henry Redman | The Phoenix This win puts the Ramblers up three points on Missouri State in the MVC standings. 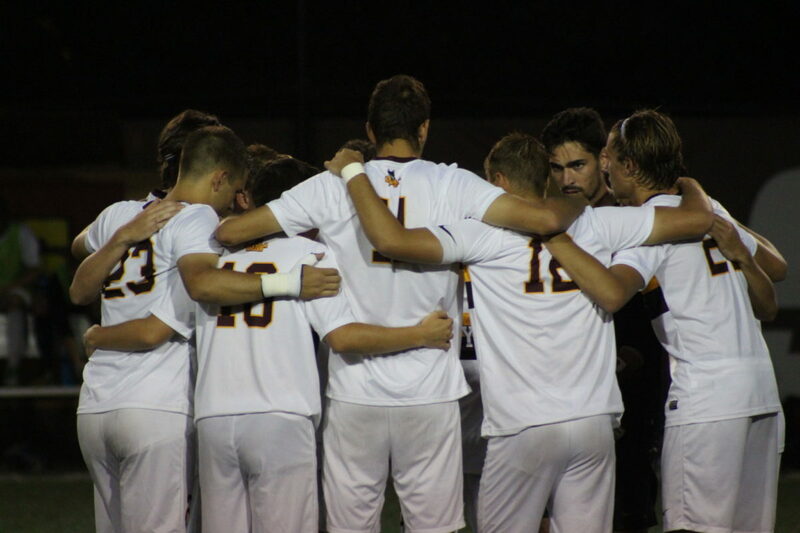 The Loyola men’s soccer team (1-3) faced off against Northwestern University at Loyola Soccer Park Friday night. The Wildcats defeated the Ramblers 1-0 in overtime. Loyola controlled most of the first half, racking up seven corner kicks and generating offense near Northwestern’s net. The Ramblers got three shots on goal in the first half while the Wildcats struggled on offense. Neither team found the back of the net and the score was 0-0 heading into halftime. In the second half, neither team managed a shot on goal — despite missed opportunities by both teams in the final minutes of regulation — and the game went to overtime tied 0-0. In the 99th minute, Northwestern senior forward Camden Bueschar found the top left corner of the net to seal a 1-0 victory. Loyola is scheduled to travel to Southern Illinois University, Edwardsville Sept. 15.